The researchers said that reduced physical activity, smoking and high blood pressure, all these factors could be held culpable. Excess weight around your abdomen may be linked to shrunken grey matter volume in your brain, says a new study. Grey matter is that part of your brain that consists of most of the brain's 100 billion nerve cells. Whereas, the white matter of the brain is packed with nerve fibres that connect brain regions. For the study, the team measured and analysed body mass index (BMI) and waist-to-hip ratio of 9,652 middle-aged people at the Loughborough University. Nearly one in five of the participants were found to be obese. The researchers said that reduced physical activity, smoking and high blood pressure, all these factors could lead to excess weight, which in turn could lead to reduced volume. The findings revealed that 1,291 people who had a BMI of 30 or higher and a high waist-to-hip ratio had the lowest average grey matter volume, at 786 cubic centimetres; 514 people with a BMI of 30 or higher but without central obesity had an average grey matter volume of 793 cubic centimetres. Meanwhile, 3,025 people with overall health scores had an average grey matter volume of 798 cubic centimetres. 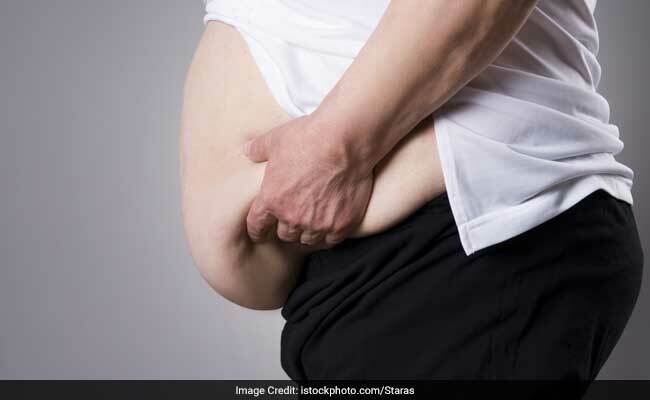 The study also suggested that excess weight was associated with shrinkage in specific regions of the brain: the pallidum, nucleus accumbens, putamen (linked only to a higher BMI) and caudate (linked only to a higher waist-to-hip ratio). All of these brain regions are involved in motivation and reward. Previous studies have also linked belly fat with increased risk of cardiovascular disorders. Managing belly fat and excess body weight is a combination of diet, disciplined fitness regimen and lifestyle. Here are some diet tips and foods that may help cut belly fat. 1. Eliminate all sources of refined sugar. Some of the main suspects are cookies, brownies, pastries, sugary drinks, aerated beverages. Also, beware of the hidden sugar sources. Sometimes your ketchups, mayonnaise, cereals are packed with hidden sugars you are not aware of. Always read the labels well before purchasing. 2. Include more fibre-rich foods to your diet. Fibre takes long to digest and breakdown, which helps keep you satiated for long. Green and leafy vegetables like spinach, mustard greens, broccoli and kale are all good sources of fibre. Fruits like apples, peaches, berries and oranges are decently packed with fibre too. Make sure you eat whole fruits and not juice them to make most of their fibres. Nuts like flaxseeds, almonds, chia seeds also make for a good source of fibre. 3. Adding protein to your diet is also a good idea towards a sustainable weight loss. Like fibre, protein also helps induce satiety. In addition to that, it also plays a role in regulating hunger hormone ghrelin that keeps cravings at bay. Some of the best sources of protein are eggs, chicken, salmon, flaxseeds, chia seeds, tofu, paneer, peas, lentils and legumes. 4. Practice portion control. Do not eat unless you are actually hungry. Instead of three large meals, break your meals in several small meals which you can eat through the day. 5. Beware of liquid calories and do away with iced teas, colas and fizzy drinks. Opt for home made low-cal beverages like ginger-honey tea, zeera water or aam panna. Take note of these tips and cut belly fat naturally.